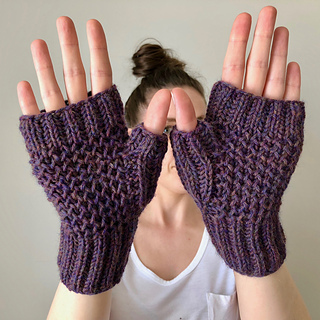 Wreckhouse Mitts is the fourth pattern in the Wreckhouse Collection. 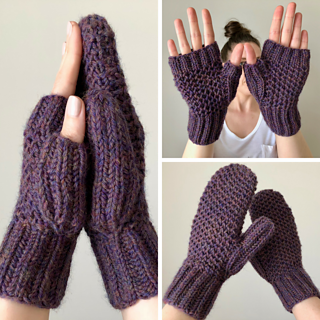 The Wreckhouse mitts are knit in thick, dense Honeycomb Brioche Stitch, making them a stylish but also truly functional winter accessory. The honeycomb pockets trap warm air, creating an effective barrier against the briskest of winter winds. 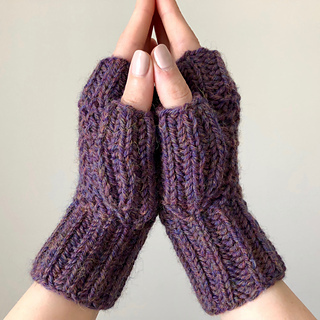 With options for both fingerless mitts and full mittens, this versatile pattern is great for all seasons. 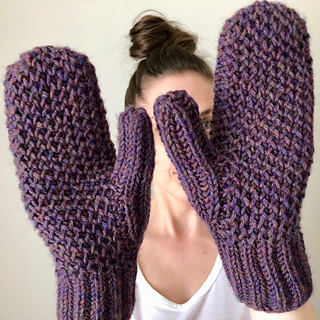 Honeycomb Brioche Stitch is a relatively stretchy stitch pattern. 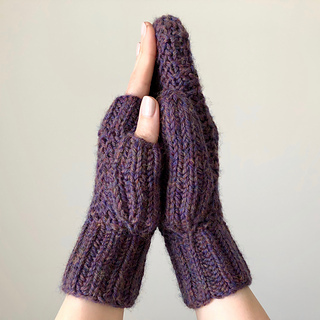 Choose a size with a finished hand circumference approximately 4 cm/1.5” smaller than the wearer’s actual hand circumference. Sample is size Woman’s M modelled on a 19 cm/7.5” hand. 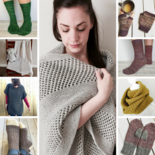 *Shown in Cascade Yarns 220 Heathers (100% Wool; 201 m/220 yd per 100 g/3.53 oz skein) in colour Rainier Heather (9454). 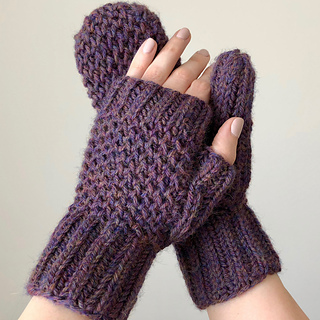 These mittens are knit in the round, beginning with a Brioche Stitch cuff. 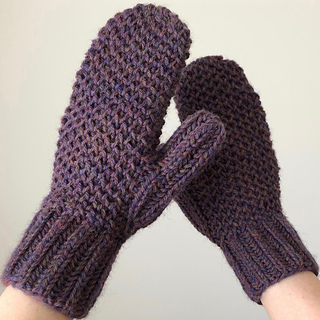 The rest of the mitt is worked in Honeycomb Brioche Stitch. 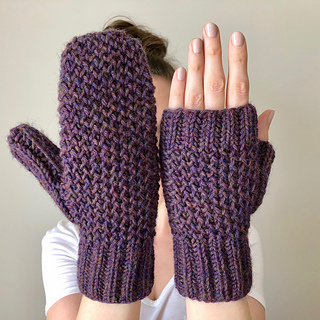 Thumb gussets in Brioche Stitch ensure a great fit, and a purl stitch faux side seam eliminates the jog that occurs when knitting Honeycomb Brioche Stitch in the round.